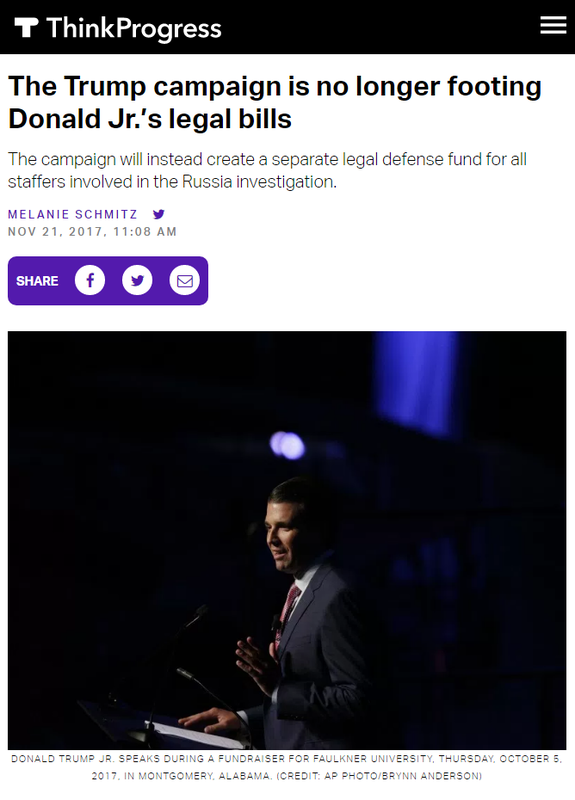 Earlier today, the progressive news website reported that Donald Trump’s campaign is to create a legal defence fund for all staffers involved in special counsel Robert Mueller’s investigation into allegations of possible collusion between the campaign and the Russian government. While it’s true Caputo never actually worked for Putin, his former PR firm Rainmaker Interactive once represented Alfred Kokh, chief executive of Russian state-owned media company Gazprom Media, and helped burnish the company’s reputation with U.S. media and policymakers. At the time, Gazprom had just acquired NTV, one of Russia’s few major opposition media outlets, sparking an internal revolt among staff. Gazprom dispatched security services to seize NTV’s headquarters in a move that was widely condemned as an assault on independent Russian media. According to Kokh, Putin personally sanctioned the crackdown. 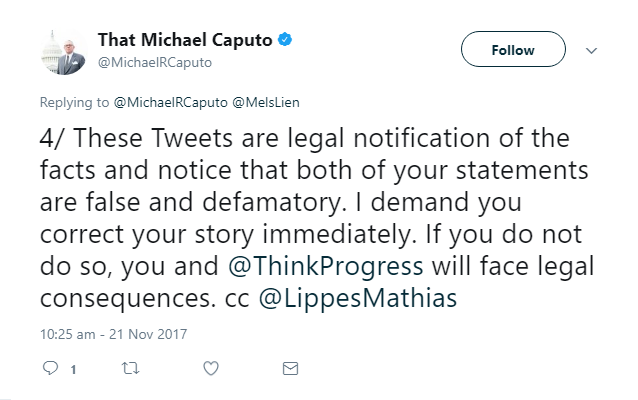 As the title of that article suggests, Caputo recently paid an employee at his current PR firm, Zeppelin Communications, to scrub Wikipedia of all language linking him to Putin.